The saying that there are two kinds of sailors, those who have run aground and those who will run aground, is comforting to those recently grounded. But grounding rarely involves shipwreck and, with modern electronics and reporting, the chances of being unintentionally grounded, let alone shipwrecked, are minuscule. This means that investigators must diligently research the possibility that shipwrecking is a purposeful or negligent act. There is also need to look holistically at the system under which the team operated. If the vessel is fully insured, then financial gain becomes a motive. It was very common around the 1900s for owners to cash in on shipwrecks. 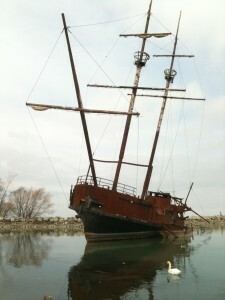 Typically the wreck involved a sailing vessel in commercial service and the wrecking benefitted owners in converting from sail to steam power. Sailboat sailors could not trust owners with their lives during these times. Rumors spread from crew to crew (scuttlebutt) regarding possible purposeful shipwrecking, served to alert all to the risks. The risks typically were not compensated for. One way of assessing the risk was the presence of the owner. If the owner was on board, the risk was reduced. 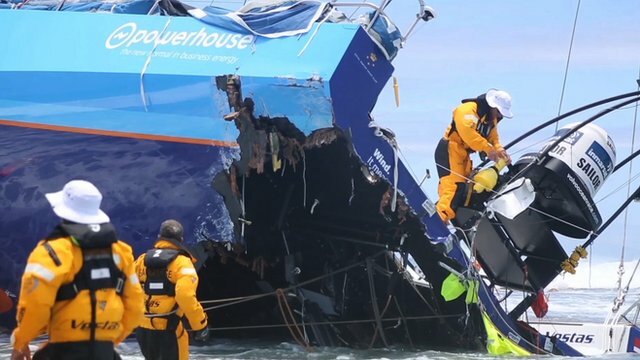 The owner of Vestas Wind was the Volvo Ocean Race organization and, at least in the US, it is hard to see how the wreck brought enough promotional (buzz) or other value to compensate for the disaster. A study of tweets and other communication world-wide might reduce insurance company pay out. Likely this is being done as there is promotional value in the increased attention given the race owing to the shipwreck. The Captain, or his sponsor, leased the vessel. The team was organized to win a race. It is useful to provide the perspective of US sailors such as myself. US Sailors who cruise are different than those who just race. A US pure racing sailor views sailing as a competition between human athletes with the vessel being equipment. A US cruising sailor views the crew as components of the vessel required to make it seaworthy. These views have implications in crew selection and training. The former allows for selection of athletes who have no sailing experience (but are otherwise fit for a triathlon). These follow without knowledge necessary to form questions. Those who do not venture to ask questions are valued over those who do. Knowledge is shared on a need to know basis because there is concern that selected athletes may take knowledge to competitors. Knowledge of the racing rules isn’t desired because loyalty is valued above the competency gained from study of the rule books. The athletes are replaceable – meaning they can be flicked off crews with no damage to the overall goal-which is to win. 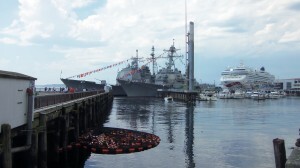 The later US Sailors, the ones who cruise, are different animals. They must seek knowledge, not just from rule books but from libraries and from scuttlebutt. They must question everything in order to gain competency and make the vessel seaworthy. This is because, on any given day, the least experienced among the crew may need to make a decision necessary for safe operation of the vessel. There may not be time to consult and if there is the captain may not have all the facts in which to make a good decision and those facts come from the knowledgeable. If a crew member is flicked off, there is damage to the overall goal which is seaworthiness. The U.S. Perspective above appears to explain the Vestas Wind shipwreck. Briefly, the boat was crewed with “yes” men organized in a way where transparency was difficult. 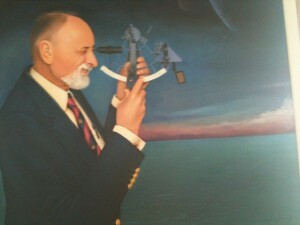 Imagine the curios team member, checking the work of the navigator. Would the member question the navigator or captain? Or would this result in the member being flicked from the team on the next leg. It is likely that the team member would not even seek to satisfy the curiosity. There are at least a few things to be done moving forward. The first is for Captains of race boats to apply the standard applied in the US which is to gather information from multiple sources. This could take the form of having others check the work, others including onboard crew, shore crew and race management. Next, flicking team members off of crews between legs must be discouraged, because this promotes a gang yes man mentality and lack of transparency. But that will not fully make the race boat seaworthy. Many do not know that the U.S. navy allows 19 year olds to operate huge war boats that must race across seas to perform their duties on a need to know basis. The U.S. Navy way of decision making is the way it should be in racing. More below. 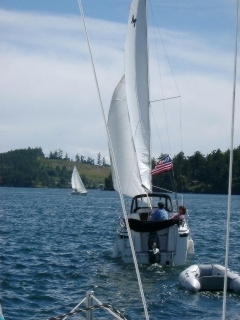 When I raced weekend club races, we’d sail our keeled machine in tight to the shoreline. You’d see the bottom alright, and occasionally it’d reach up and give us a thump and we’d tack away pleased we’d snuck a little more yardage out of the effort. A great aunt would thunder us kids across darkened Maine waters and nearly every time, the outboard would clunk to a stop and there’d be cursing and flashlights and flash of fillet knife as the prop was cleared. The thing is though, in those scenarios we’d invited the hazard aboard. The thump or clunk might’ve been a surprise, but the hazard itself wasn’t. I mean it’s not like we were sailing a prestigious global race and smacked into a charted reef. Uh-oh, did I offend? Sorry, folks, but I’m pretty shocked by the Team Vestas Wind grounding. Now first up, I’m more of a Joshua Slocum as opposed to a Dennis Conner, Ted Turner or Charlie Enright so there’s a certain amount of perspective I’m potentially missing which I concede. For instance, the toll on a nine-member crew punishing themselves to place well on a race that continues day in and day out is worthy of consideration and something I haven’t experienced. Still, that an endeavor of this caliber could ground itself so miserably on the shoals of disaster (all puns intended) is incredible to me. 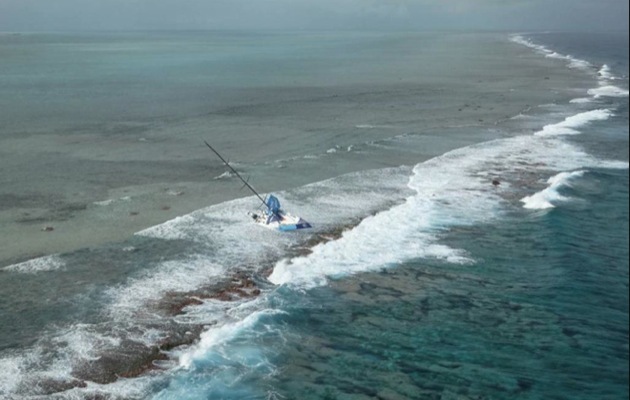 I would give my eye teeth to be involved in the forensic investigation of how Team Vestas Wind’s multimillion dollar racing yacht fetched up at speed on shoals in the middle of the Indian Ocean. My eye teeth, darn it, and I don’t even know what they are! From a liability perspective, the general maritime law of this country (which I don’t see applying in this instance) would raise two goalposts (unseaworthiness and negligence) that’d likely drive my investigatory endeavors. First, I’d want to know whether an unseaworthy condition aboard the vessel caused the grounding. An owner’s warranty of seaworthiness covers all parts of a vessel from the hull and machinery to gear and equipment. For instance, I’ve read commentary about how electronic charts may require a zooming action to fully display certain navigational hazards. If that’s the case (and I’m merely proposing the hypothetical), does that requirement rise to the level of making the vessel unseaworthy? Was this hypothetical the crux of what caused the grounding? On the negligence front, the questions pile up around me like a freshly recovered spinnaker. For instance, with respect to the electronic charts hypothetical, were there warnings accompanying these electronics and did the crew understand the warnings? Relatedly, what sort of navigational redundancy was employed aboard? That is, was the crew using a paper chart or another navigational aid to double-check their location? I’d also be keen to know whether the weighty burden of plotting one’s way across 28.4 million miles of Indian Ocean is shouldered only by the navigator or is there a “co-pilot” of sorts lending a second set of eyes to calculations and assumptions? I could spend a whole morning asking questions about watch standing. How does the crew aboard one of these modded sailing Hoonigans set up for watch? In the midst of all the pressures I’m sure associated with clawing your way into a good finish, is there a crewmember specifically designated to keep watch? On that point, and appreciating how the metronome sounds of wind and water at night can be almost hypnotic, I’d be deeply interested in learning whether any of the crew perceived the hazard before the grounding? If not, why not? 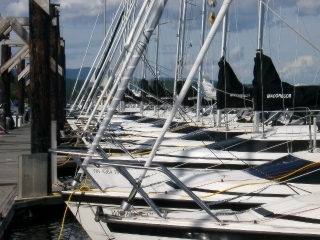 Are these sailing steeds equipped with lowly depth sounders? Was there no warning? Look, I know asking questions from my armchair is rife for criticism, but this grounding could have ended very differently with people hurt and lives lost. Right now, it seems aside from bruised egos it’s just money that’s been lost, which presents the right circumstances for a bullish investigation. Indeed, with as much racing as there is left to do in the Volvo Ocean Race, it’d be nice to share some lessons from this incident with the rest of the fleet. Lessons, no doubt, us Joshua Slocum-like sailors might benefit from as well. Admiralty attorney John K. Fulweiler, Esq. practices maritime law on the East and Gulf Coasts. As a former partner of a Manhattan maritime firm, John now helms his own practice located in Newport, Rhode Island where he helps individuals and businesses navigate the choppy waters of the maritime law. John can be reached anytime at 1-800-383-MAYDAY (6293) or via e-mail atjohn@fulweilerlaw.com. The independent report into the incident, commissioned by the Race in December, was conducted by acknowledged experts in the field – Rear Admiral (Rtd) Chris Oxenbould (chair), Stan Honey and Chuck Hawley (see below). ii. That the providers of the chart system used and the manufacturers of one of the on board navigation software systems be advised of the perceived deficiencies. He added: “Our plan is to circulate the guidelines to the skippers and navigators (as recommended by the report) here in Auckland, and also include them in future Notices of Race. • Rear Admiral Chris Oxenbould is a former deputy chief of the Australian Navy and an experienced ocean-racing yachtsman with a particular expertise in navigation. He is also the chairman of the Yachting Australia National Safety Committee. • Ocean navigational expert, Stan Honey, who won the Volvo Ocean Race 2005-06 as navigator onboard ABN AMRO ONE, and Chuck Hawley, who serves as the chairman of the U.S. Sailing Safety at Sea Committee, assisted Rear Admiral Oxenbould on the report. Sail-World talked to Knut Frostad, the Volvo Ocean Race CEO a few days after it was announced the Danish company was sponsoring the seventh entry in the 2014-15 Race. Here is part three in that interview series (there are links below to parts I and II). Knut Frostad – ‘Vestas is the world’s largest wind energy company and their business is wind turbines. I started talking to them a couple of years ago, when a major sponsorship was not on the agenda. They had a small sponsorship with Paul Larsen and his speed program and they liked that. ‘They are very strong financially so we approached them again recently when the opportunity came up suddenly. ‘As it happens now both the Chairman and CEO of Vestas were in the management of Ericsson when Ericsson was sponsoring boats in two races so they had a very good experience of the race and knew the value of it. ‘That helped the timing lots because we didn’t have to explain the values of the race as much as we have to do when we have to sell it from scratch. That was a very important factor but also it worked with the strategy Vestas has now going forward and the timing was really perfect. ‘ Some people say that’s lucky but I always say when you sell a sponsorship to a company timing is one of the most critical factors and that is lucky, every time you do that. It’s unlucky when you get a no because you might be there at the wrong time. ‘But the timing was perfect and so now Denmark is entering the race, with a top class skipper Chris Nicholson and a seasoned crew and a great sponsor. ‘Obviously we can do a lot more with the boats now that we have a one design fleet, so races like the Sydney Hobart and the Fastnet could be on the calendar post this year’s race..
‘Moving back to the progress up to 2014-15 race, as we speak five of the seven boats are racing in the SevenStars Round Britain and Ireland Race and this is a great step in ensuring boats, crews and systems will be ready to go in October. ‘To preserve the time buying element of the one design concept, two boat testing is strictly forbidden. That is a very important point for us because if we open up two boat testing, basically would have lost at least half the value of the one design concept because the whole idea of one design buying time would be dramatically reduced because the early starters would have a huge advantage over everyone else. ‘But we allow Volvo Ocean Race competitors in races we have preapproved and there are several reasons why. One is because we also have an interest in showcasing the fleet like we are doing now. It gives us and the sponsors the possibility to tell the story. ‘The other benefit of the SevenStars event for instance is that we can test systems. We know we have some technical challenges we are facing and this is the first time we have had the opportunity to really test our systems. We are very happy we have a little bit of time left before now and the start. Then we have Leg Zero off Alicante which is the next time all the boats will race against each other. ‘I am very happy they have got tough conditions in the SevenStars. The tougher conditions the better for us and the boats because we rather have those conditions now rather than having them on the first day of the leg like we had in 2005 when the boats sailed into their first storm on the first night. ‘Right now the timeline is tight. The first boats will be arriving here in Alicante in last week of August and they all have to be here on 8th September. ‘That is what we call the assembly date and then they are all just getting ready for what we call Leg Zero which starts on Friday 12th and racing for two and a half to three days. ‘Before and after that race the crews will be going through some drills and rehearsals and proving to us that they have all their man overboard drills in order and all their safety equipment tested and they are going to show us how they are going to steer the boat without the rudder etc. ‘Then from Sunday 14th September, the first boats start being hauled out of the water and immediately all of the boats go into this management sequence where there is a two week period for the big overhaul service for all the boats. July 29 2014. High-tech Race Control located in the Race Headquarters in Alicante. The boats are tracked 24/7 via the Inmarsat satellite network and its main purposes are overseeing the safety of the fleet and delivering/receiving positional data and communications from the fleet. ‘That’s done by the Boatyard here, all the shared services. The service programme is going to be fascinating because this is like your factory with boats lining up and they are going through a programme one by one and they are moving up the ladder and moving across this huge boatyard that they are setting up now where everything has been gone through, keels and rigs and electronics and some small changes are going to be made based on what we are learning now in the Round Britain Race and optimisations on all the boats to make them 100% and then also the measurers are now controlling the boats as they have the boats by themselves now. ‘We have James and his guys who are running the class rule and the measurement. They are checking that the boats are still 100% like they were delivered and that everything is 100% one design and that they are weighed and checked and calibrated if anything is wrong. That’s going to be an important thing. It is going to be the first test of the shared services to check how well that works. August 11, 2014. Round Britain Island Race Day 1 – OBR content Team Alvimedica: Matt Noble trimming the gennaker shortly after the start with five of the Volvo Ocean 65s on the horizon during the first day of the RORC’s Round Britain and Ireland Race. ‘While that is happening some teams are doing some specific training. The OBR are being trained. The medics are having their medical extra training and their safety courses etc., and all the teams will go home to take a break. ‘Then the boats are back together pretty much two weeks after that so when we get to the end of September, the last week, that’s when the boats are back in the water and the teams come back here and then they start sailing, training, getting everything ready. ‘Then the next step for them is the practice in the first day in October and then the in port race on the Saturday October 4th and then the Leg One starts on Saturday October 11th. ‘Right now the clock is running in the Volvo Ocean Race control room just metres from my office and there are just 34 days until the racing action starts. Knut Frostad, CEO of the Volvo Ocean Race, is stepping down at the end of 2015 after eight years at the helm for family reasons (full story below). 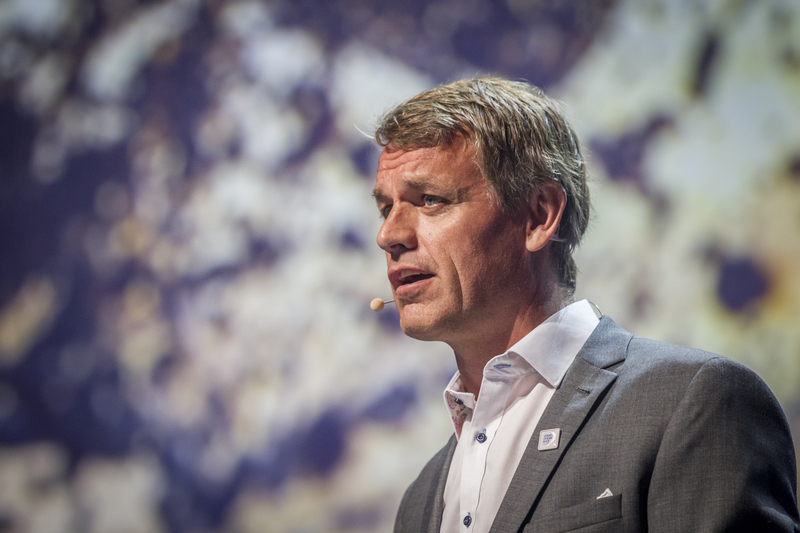 ALICANTE, Spain, September 11, 2015 – Knut Frostad, CEO of the Volvo Ocean Race, is stepping down at the end of 2015 after eight years at the helm for family reasons. “With almost half of my life and a lot of passion invested in the race, it has been one of the most difficult decisions I have ever had to make,” he said. “I am an ‘all-or-nothing’ person and this is an ‘all-or-nothing’ race. I now want to dedicate more of my time to my young family. 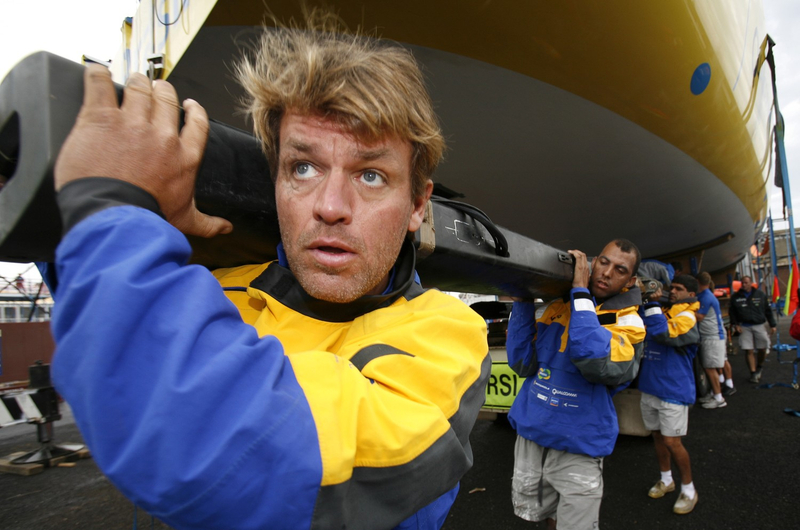 Senior members of the Race’s board have paid tribute to Frostad. “Knut has done a fantastic job in leading and developing the Volvo Ocean Race. We could not have had a more passionate leader and we understand and respect his wish to spend more time with his family. We will all miss him a lot,” said Henry Sténson, Senior Vice President, Corporate Communications and Sustainability Affairs, Volvo Group, and Per Löjdquist, Chairman of the Volvo Ocean Race Board, in a joint statement. “Knut has been the face and the driving force behind what is the most challenging and prestigious ocean race in the world. We regret but, at the same time, respect his decision and we can only wish him and his family the best of all winds,” added Alain Visser, Senior Vice President, Marketing, Sales and Customer Service, Volvo Car Group. “I know that will be my challenge too. The Volvo Ocean Race is such a unique life experience and I am truly grateful for my time as head of the organisation, but also for all the friendships I have formed during this time. Frostad will remain in the position as CEO until the end of 2015, while the search for his replacement has already started. It is a case of situational awareness, and all of the questions you asked about paper charts, a co-pilot, a depth sounder, or perception of changing sea state are all part of maintaining situational awareness. The 5 crews who passed the shoal ahead of Team Vestas Wind were wary, and knew that it did not show up on vector charts without a big zoom. The causes of the TVW loss of situational awareness are a great place to start on lessons learned.